What Is Coffee Meets Bagel App? How Does Coffee Meets Bagel Works? How Much Does Coffee Meets Bagel Cost? 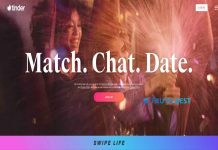 How To Delete Coffee Meets Bagel Account? Who Uses Coffee Meets Bagel? Dating websites offer users a lot of opportunities, which increase the chance to meet your perfect special one. Coffee Meets Bagel is one of such dating services, and its name clearly explains their primary purpose – to help people meet their match. 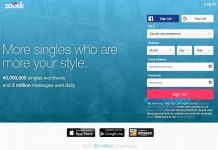 Check our brief review of Coffee Meets Bagel to discover the essentials of this dating app. Coffee Meets Bagel (CMB) is the dating application that helps community members to find like-minded partners. CMB applies a smart algorithm to choose the only quality match. So you can spend less time swiping and more time communicating with real matches. To start using the CMB app, you need to download it on your smartphone. The next step is to create your profile. Add some information about yourself and finish the sentences provided to let the system understand your preferences. You can upload a photo or add up to 9 ones from your Facebook account. CMB offers different ways of dating for men and women (both straight and gay). Each day men will obtain 21 matches marked as Bagels. It is up to men to like or swipe on the Bagel. Women receive matches who already liked them. The female will get to decide whether to start a conversation with the matches or not. Activity Reports – Activity Reports help to understand how many times your matches interact with others. Read Icon – Premium allows you to see when the Bagel has read your message. 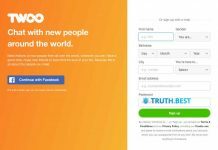 Additional beans – What do beans mean in Coffee Meets Bagel? The more beans you have, the more Bagels you can unlock. For iOS users, before deleting, you will need to put your account on hold. Go to your Profile Settings. Then turn off the Active button under Membership. Choose Deactivate to confirm. Then decide for how long you want your account on hold. Choose Indefinite, if you’re going to delete the account temporarily. Android users should open the app and tap Profile. Then go to Settings and scroll down to tap Delete Account. Coffee Meets Bagel has reached 18 million users in both New York and Hong Kong. The average age of all the CMB active users is between 21 and 35 years old. Coffee Meets Bagel has a lot of exciting features you could try. But their matching algorithm isn’t that perfect as it should be. Many women say they haven’t received matches in months. That’s why if you want to try out some dating apps, better opt for something more reliable than Coffee Meets Bagel. 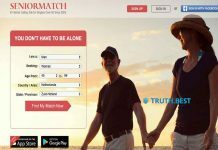 Previous articleeHarmony Review – What Can This Dating Service Offer You?